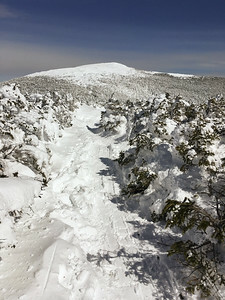 A gorgeous day on Mount Moosilauke, after two big dumps of snow in two weeks. 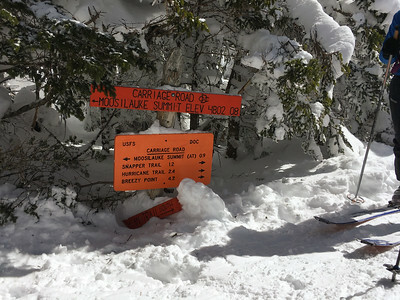 Today was cold (ambient temps in single digits) and windy (30-40mph sustained at the summit) but the snow was glorious. Lots of other people out on the trails, enjoying the day. 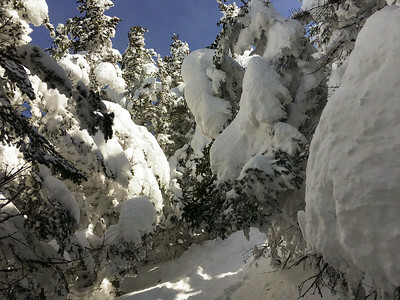 Heavy snowfall left large wumpuses on the trees up the Glencliff Trail - Mount Moosilauke. 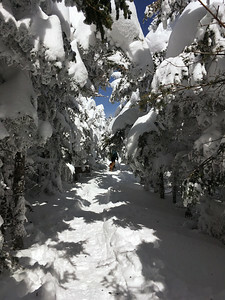 A hiker passes under the wumpus-laden trees on the Glencliff Trail up Moosilauke. 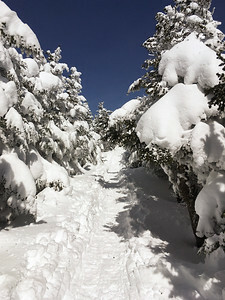 Deep snow at the top of the Glencliff Trail, Mount Moosilauke; note the trail blaze. 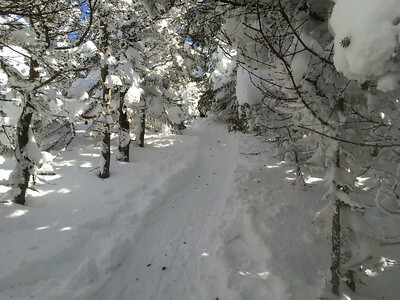 Skiers pause at the trail junction between Carriage Road and Glencliff Trail. 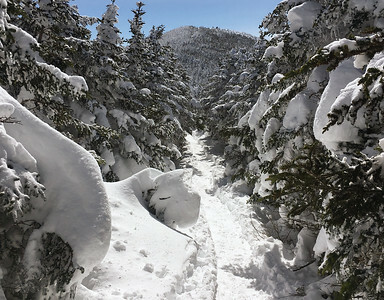 Pemi the Grid Dog and his human traverse the Moosilauke ridge on a snowy blue-sky day. The Moosilauke ridge, with heavy wumpuses resting on the trees. 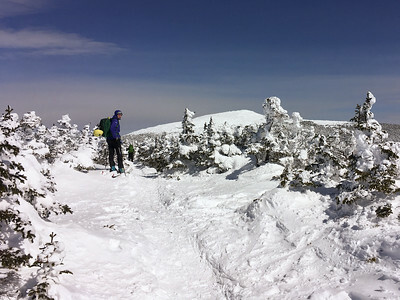 A skier traverses the Moosilauke ridge. Moosilauke in snowy glory on a beautiful blue-sky March day. 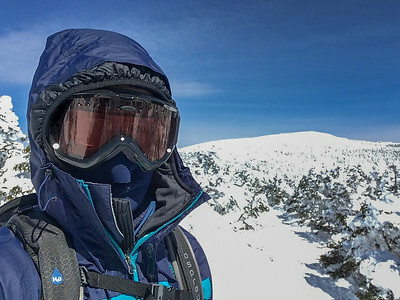 A selfie of David after gearing up to approach the summit of Moosilauke on a cold and blustery day. 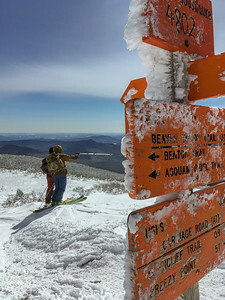 Two hikers examine the view on the summit of Moosilauke, with the summit signs in the foreground. 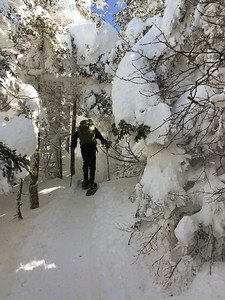 Snowy trees overhang the Moosilauke Ridge, with a view of hikers on South Peak above.